At 100 hectares, the Volgermeerpolder, located in Waterland near Amsterdam, is the Netherlands’ largest toxic waste dump. The area is being cleaned up and turned into a nature reserve. An extraordinary design subtly emphasizes the toxic substratum. The “wet living layer” is particularly extraordinary. 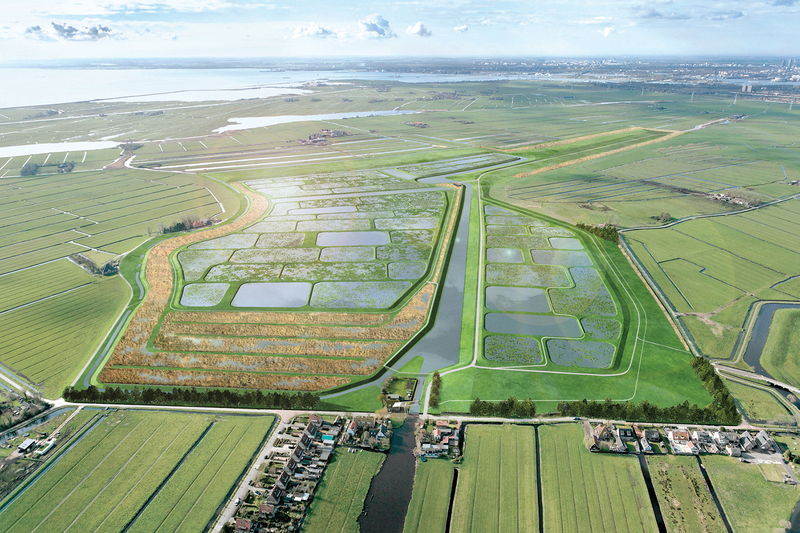 A network of small dikes collects and stores nutrient-poor rainwater; creating a series of filled paddies. Development of peat vegetation with sundew and peat moss creates a unique nature area. This functions as a natural cover layer for the toxic ground above all it forms an exciting sphagnum bog.